It's time for another polish from Pretty & Polished, and it's another purple. 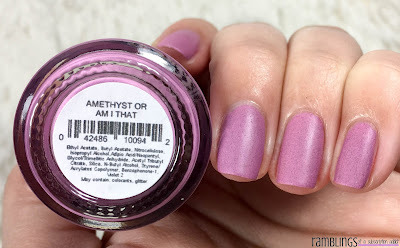 I know, I've been on a purple kick but my birthstone is Amethyst and this is named after that so I had to grab it up. This polish is also available currently so you should definitely grab it! 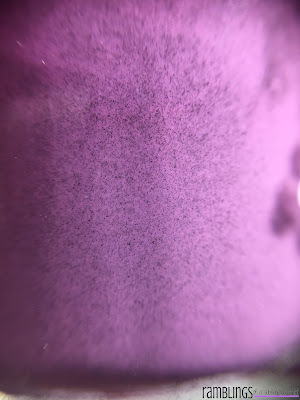 Amethyst or Am I That is a gorgeous smokey bright purple in the Dusty Creme formula. I die over this polish. It's just perfect and definitely meets my high expectations for something named Amethyst. 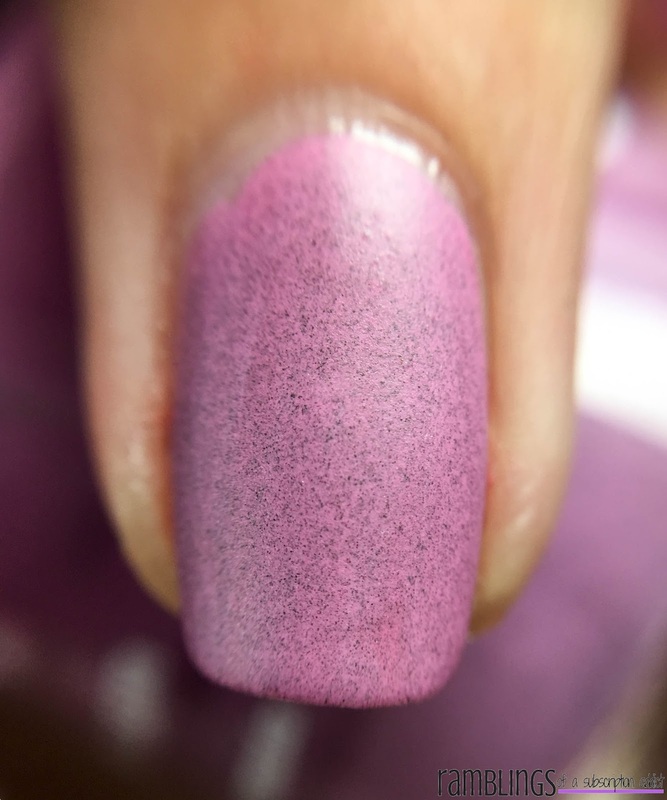 The way dusty cremes look up close as well as far away is so unique, unlike any other polish formula I've seen. 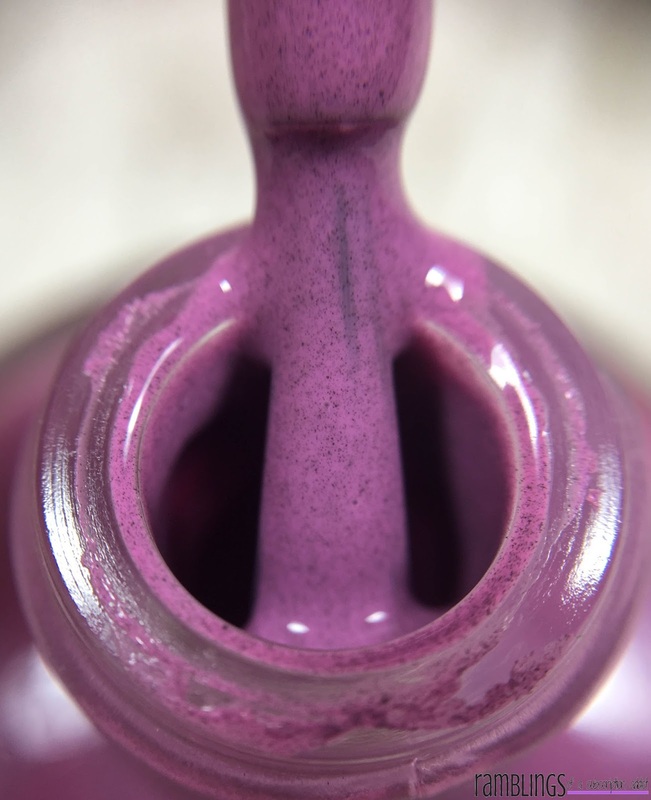 Even matte, just look at the gorgeousness of this polish. 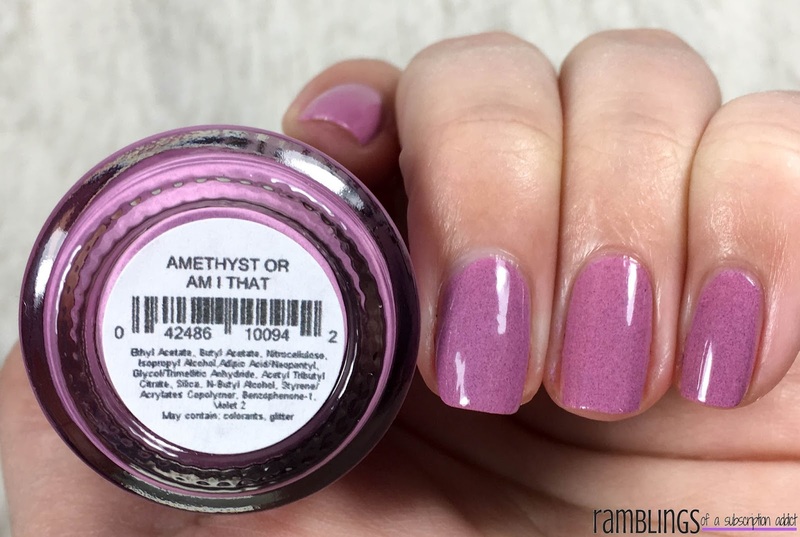 Amethyst or Am I That is one of the great Dusty Creme polishes and dries to a satin finish like the rest of the collection. 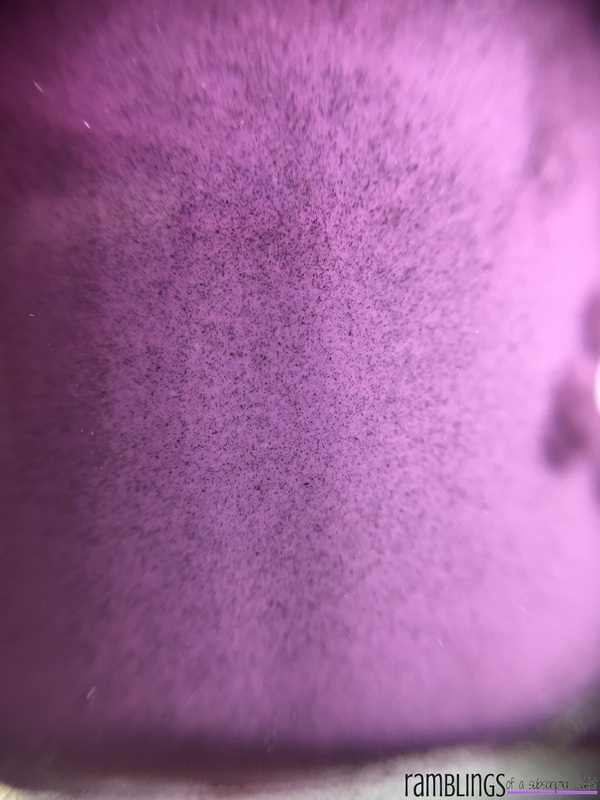 Shown here is two coats which applied smoothly and dried very easily. Do you own this polish or any of the other Dusty Cremes? Let me know in the comments!